Why Does Insulin Make You Gain Weight? Diabetes is a metabolism disorder that affects nearly 24 million Americans. In healthy people, after eating, food breaks down, gets converted into blood sugar and is then transported to cells by a hormone called insulin. People with diabetes either do not make any insulin, or make an unreliable amount, resulting in cells not getting the energy needed to function properly. In most cases, medications used for treating this disease will either cause weight gain or promote some weight loss. Metformin is one of the most commonly prescribed medications used for treatment of Type 2 diabetes. It’s used to increase insulin sensitivity, control blood sugar levels and help the body absorb glucose from food and the liver. 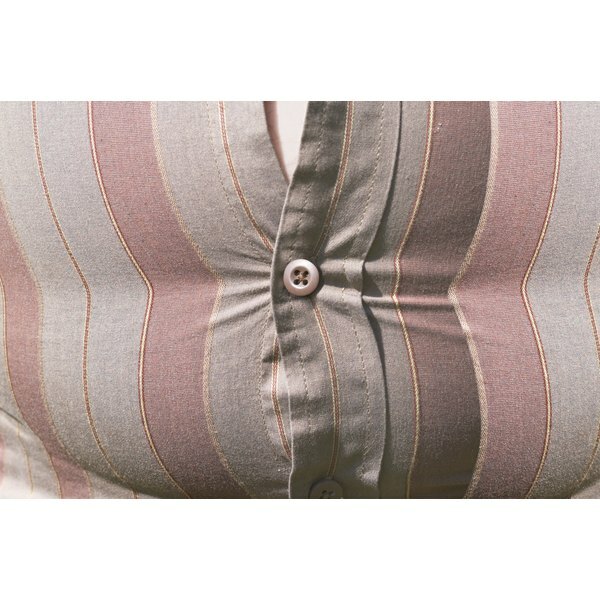 Recently, researchers have been studying use of metformin for obesity treatment. According to a 2011 article published by "Redbook" magazine, glucophage, the generic drug name, can help reduce appetite. In a 2001 study published in the journal “Heart Disease,” 80 percent of nondiabetic women who took metformin on a low-calorie, modified-carb diet lost 10 percent of their body weight in 12 months. Most were successful in keeping the weight off after four years. Byetta, known generically as exenatide, was approved by the Food and Drug Administration in 2005 for treatment of Type 2 diabetes. Exenatide is administered by injection and helps metabolize blood sugar levels. In studies conducted by the company that produces the brand-name drug, patients who used Byetta for more than 30 weeks along with other diabetes medications lost 4 lbs. Patients taking a 10 mcg dose of Byetta alone lost 6 lbs. over 24 weeks. According to MayoClinic.com, exenatide reduces the amount of food needed, because blood sugar gets processed more efficiently. As of 2011, metformin and Byetta are approved for use in treating patients with Type 2 diabetes. They have been prescribed off-label for treatment of patients who are obese and for treating polycystic ovarian syndrome, or PCOS. Before using one of these medications for weight loss, carefully consider information that’s already out there. According to a 2005 report on using metformin for treatment of overweight and obesity, researchers from the University of Pittsburgh found there’s insufficient evidence that the drug is a viable option as a treatment in adults who do not have diabetes. Weight gain is often a big concern for people with diabetes since they’re often already overweight. Unfortunately, many medications approved for treatment of the disease can cause weight gain, according to a Johns Hopkins Health Alert, by stimulating your appetite, causing fat cells to grow or increasing water weight. Adding metformin or Byetta to your medication regimen could help promote weight loss. Since both are available by prescription only, you need to get approval from your doctor. Shannon Marks started her journalism career in 1994. She was a reporter at the "Beachcomber" in Rehoboth Beach, Del., and contributed to "Philadelphia Weekly." Marks also served as a research editor, reporter and contributing writer at lifestyle, travel and entertainment magazines in New York City. She holds a Bachelor of Arts in literature from Temple University.